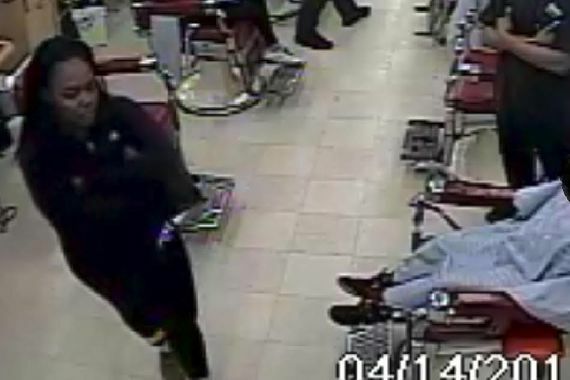 Police in Cleveland is looking for a mother who pulled a gun on a barber who was taking too long to cut her son's hair. According to Crime Stoppers of Cuyahoga County, the incident happened on the 14th of April at Allstate Barber College on Lorain Avenue. 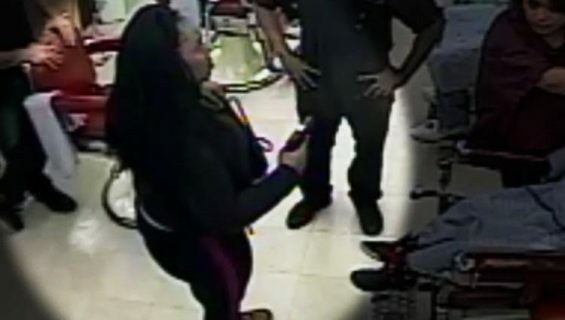 Police say the woman complained severally before pulling a handgun from her purse and pointing it at the barber, telling him, 'I got two clips. I’ll pop you.' Fortunately, she was calmed by another employee before putting away the gun. The victim who escaped being shot finished the haircut and the suspect left with her two children. With images of the woman captured on a surveillance video, authorities are now asking the public for help in identifying the suspect.